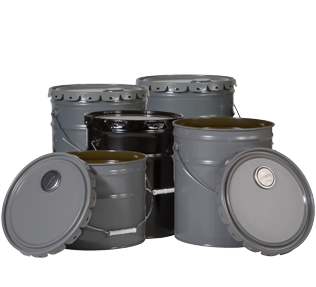 We offer a full product-line of top quality metal pails and buckets, including tight head metal cans and tin cans in an assortment of sizes and configurations. Many of these products offer standard black, silver, or gray exterior colors. Available in a range of volumes, these durable workplace tools supply outstanding value. For example, select a 5 gallon open head metal pail with a rust inhibitor or expoxy interior lining. Built to withstand the rigors of an outdoor construction site, a highway transportation project, an agricultural facility, a retail outlet, or a factory, these pails furnish both flexibility and versatility. They make transporting and storing a wide array of liquid or solid materials much easier. 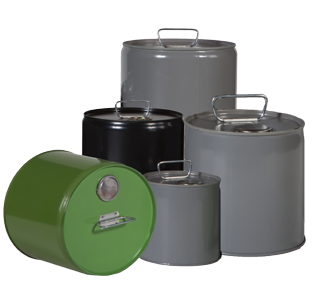 All of the pails in our inventory include firmly secured metal handles. Your personnel can relocate them through a job site easily, as needed. The tough steel construction promotes strength and durability. If you require a portable container with the capability to withstand harsh environments and frequent daily use, you’ll appreciate our inventory items in this category. Do you require a sturdy pail for on-the-spot cleanup tasks? Or a bucket capable of transporting paint, grease, or other material securely without leakage? 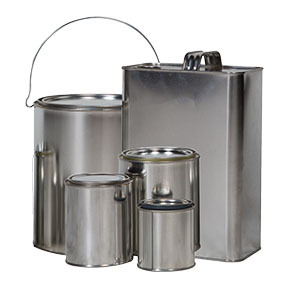 Take a few moments now to explore our great selection of metal pails and buckets!